According to Louise Jaffe, Education Researcher and Santa Monica College Trustee, “placement in developmental math [is] one of the single greatest barriers to college completion.” An alarming rate of students entering community college are testing into remedial level math, putting them at risk for dropping out. 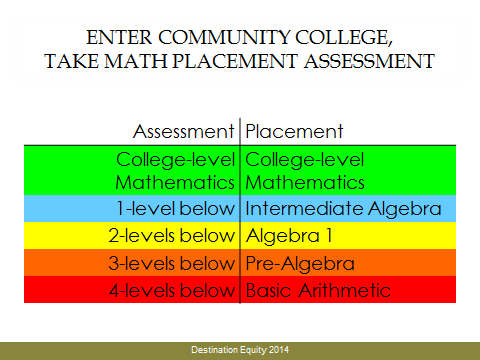 The math sequence required for community college students to reach college level math can add an additional semester or even year to their pathway. Between registration wars, tutoring, work, and other real-life responsibilities, students often grow weary of the process and give up. 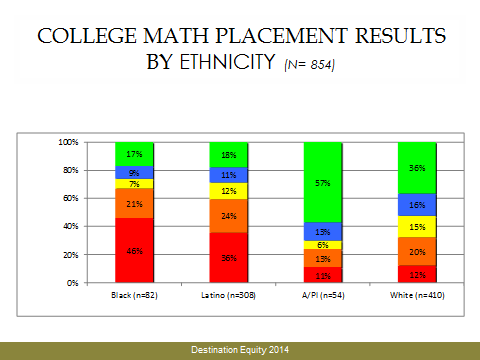 As you can see only 17% of Black, 18% Latino, 56% Asian, and 36% Caucasian students tested into college level math. 1) Where are you starting? The math class you take in 9th grade determines your math pathway. If you start in Algebra 1, the chances of moving well beyond Algebra 2 decrease. Especially when factoring in the need to repeat any classes. 2) Where did you stop? Most students stop at Algebra 2. As mentioned earlier going beyond Algebra 2 doubles your odds of completing college. 3) When did you stop? Most students stop taking math their junior year. The research says “KEEP GOING.” Sorry to yell. Not taking math your senior year diminishes your chance for post-secondary success, and may screw you over when it comes time for taking your placement tests. So in conclusion, taking math your senior year is a non-negotiable. Setting your goal on completing graduation requirements is fine. But if you want to succeed in college, you’ve got to move the goalpost, and think bigger. Still not convinced? Comment below and let us know your thoughts. Subscribe for tips, insights and news on upcoming offers! Dude, could you have picked an easier problem? 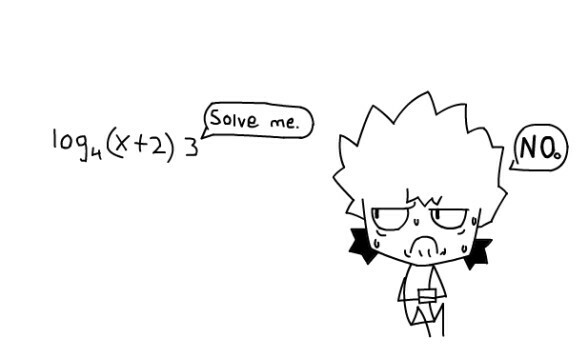 I could solve that kind of problem in 9th grade.